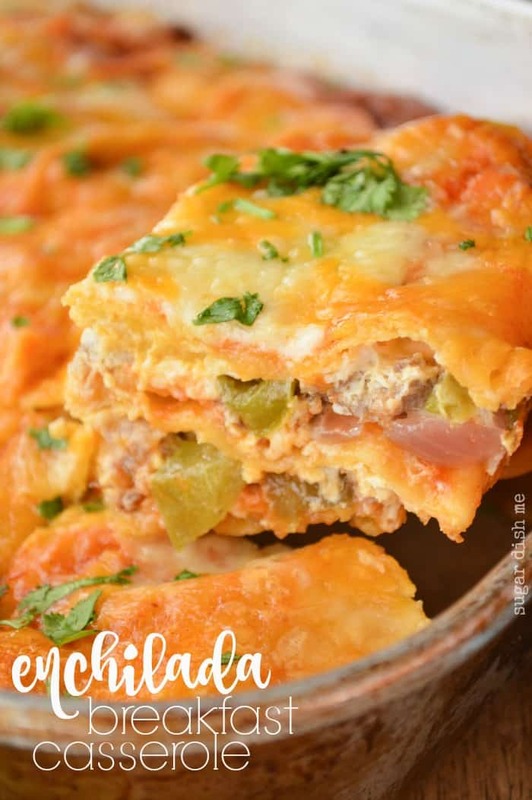 Easy Cheesy Enchilada Breakfast Casserole is a simple breakfast casserole with a southwest flair! 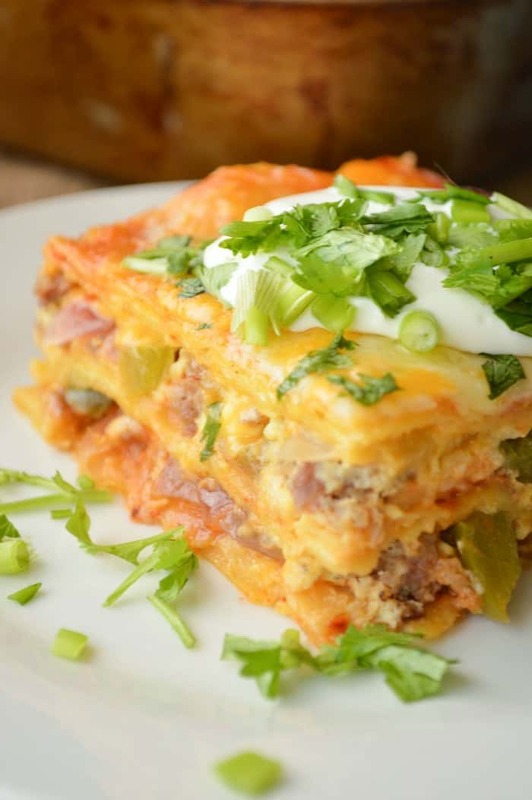 It’s like we married breakfast tacos with the ease of a make ahead casserole. Perfect for feeding a hungry crowd. 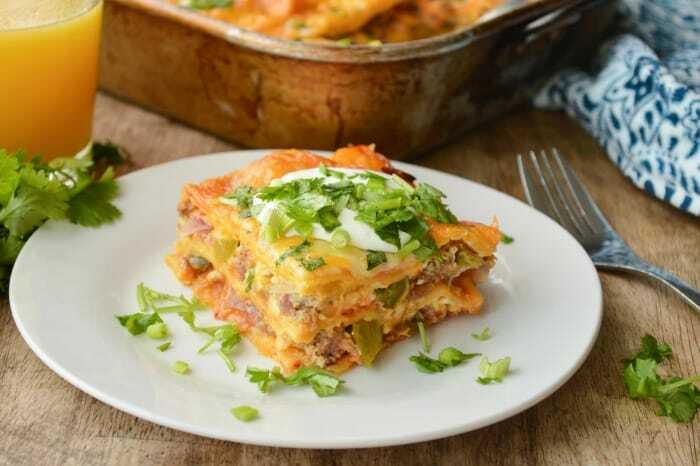 If there’s one thing I know for a fact it’s that y’all LOVE a good breakfast casserole. Christmas Morning Casserole was a hit from day one. Crescent Roll Breakfast Bake is a doggone close second runner up. 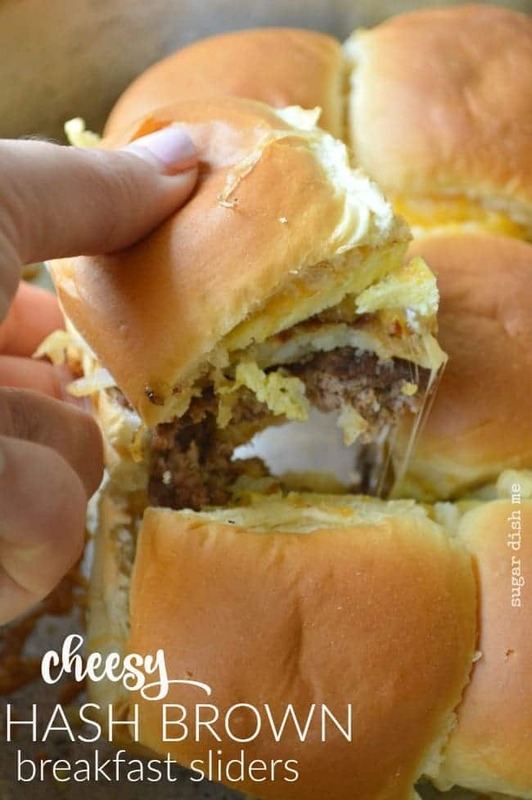 There are also lots of casserole-ey things that you all go a little bonkers for – like Sausage and Cheese Omelet Muffins. I get it guys. You like to pour, bake, and go. And I am totally with you here. 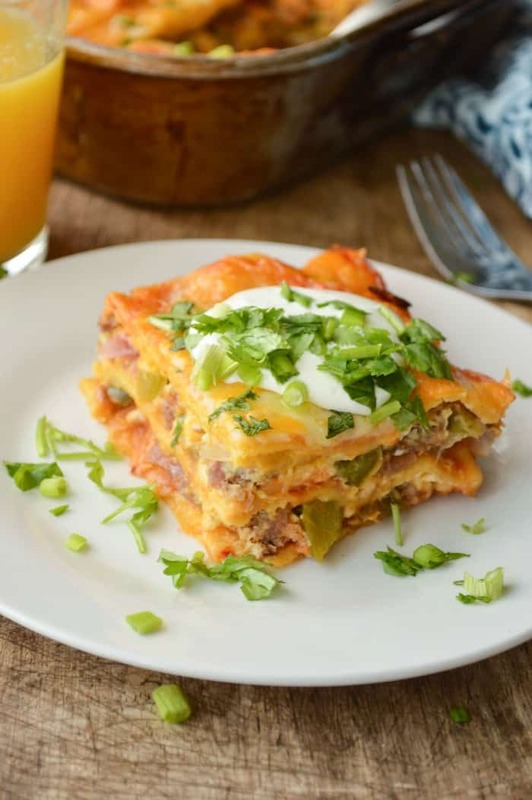 I decided it would be a good idea to take some of the Tex-Mex goodness I obsessed about when I made Migas earlier this year, and marry them with a breakfast casserole. It was a good plan. 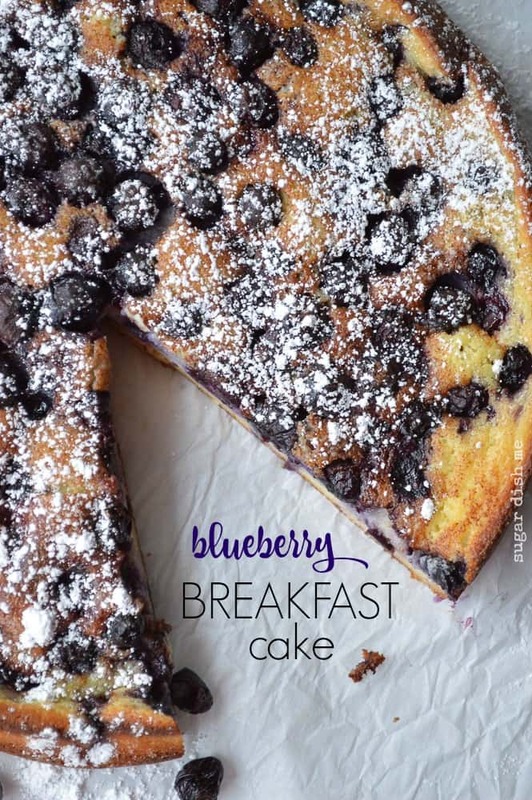 This is honestly appropriate for breakfast OR dinner. 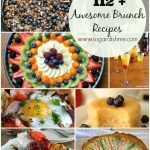 It makes a great brunch. 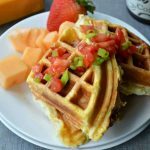 As much as I post sweet carb-ful recipes here (hi Giant Cinnamon Rolls – I’m lookin at you), savory breakfasts are actually my favorite. Sausage, bacon, eggs all the ways, omelets, vegetables — in my regular life those are the foods I want in the morning WAAAYYYY more than I want Emoji Donuts . 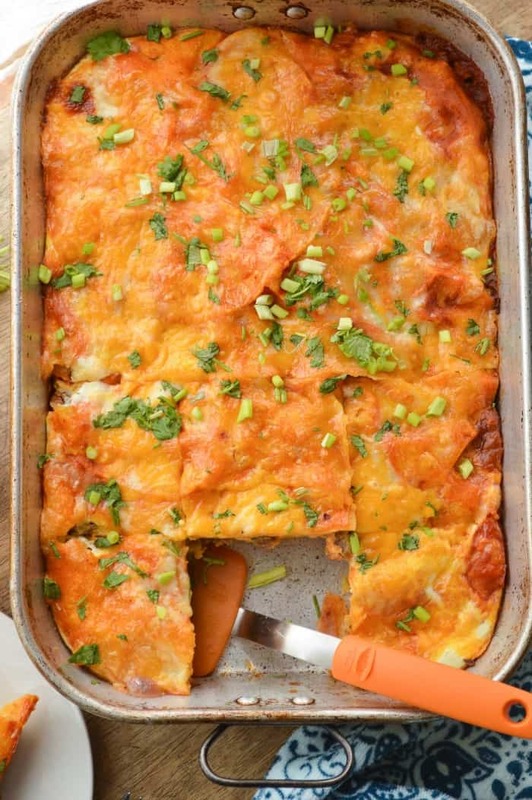 So if you are a lover of savory breakfast and enchilada flavor, this Enchilada Breakfast Casserole will be your new weekend breakfast jam. It’s perfect for feeding a crowd and — IMPORTANT!! You can make this ahead. I am usually the #1 worst at being prepared, so when you all ask me questions about freezing things or making things a day or two in advance, I am typically pretty stumped. This time I showed up prepared and after our first couple of runs with this casserole, I decided to make it a day in advance. You can do your advance prep in a couple of ways. 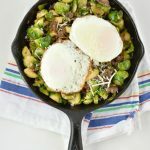 You can either work through all your layers and then whisk up the eggs + milk and pour them over right before baking (recommended) OR you can assemble the entire casserole including the pour eggs + milk over the casserole part. Cover tightly and refrigerate overnight. Take the casserole out of the fridge while you are preheating the oven and be sure to unwrap the casserole before cooking. Making this a day ahead was a win. 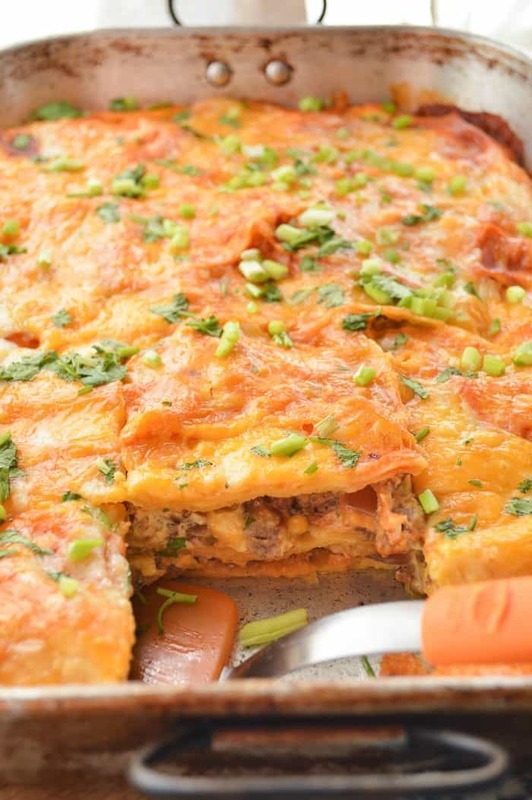 Cooler temps and cozy mornings are begging you to try this Easy Cheesy Enchilada Breakfast Casserole recipe! Try it out and let me know whatcha think! 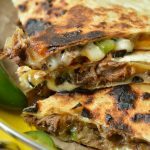 I know you mentioned “carb-full” but you might be able to sub in some low carb tortillas and make it carb friendly. The eggs, sausage, and cheese make it a great low carb breakfast if the tortillas are low carb.